When we began our trek in 2005 we were in the process of scheduling Dr. Cohen for our second public presentation about nuclear energy. Due to his doctors request for restriction on travel we had to cancel that event. 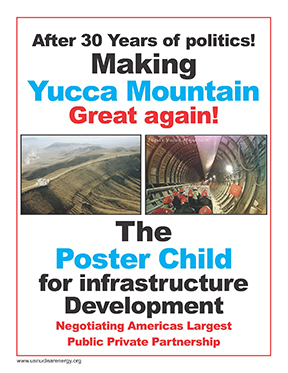 Much of our initial research and study was initiated and inspired by Dr. Cohen’s book, (The Nuclear Energy Option) particularly portions where he openly assails the media for their continued participation in misrepresenting scientific evidence and FACTS about nuclear energy and its radiation environment. Our grassroots mission although scorned by some continues to be ADVOCATE and AGITATE! Having reviewed our mission statement and grassroots educational directive, Dr. Cohen agreed to serve as an Advisory Board Member for the US Nuclear Energy Foundation. Bernard Leonard Cohen was Professor Emeritus of Physics at the University of Pittsburgh. He has been a staunch opponent to the so called Linear no-threshold model (LNT) which postulates that there is no safe threshold for radiation exposure. Cohen has written six books, including Heart of the Atom (1967), Concepts of Nuclear Physics (1970), Nuclear Science and Society (1974), Before It's Too Late (1983), and The Nuclear Energy Option (1990). He has also written about 135 research papers on basic nuclear physics, about 200 scientific papers on energy and environment (e.g. nuclear power, health effects of radiation, radioactive waste, risks in our society), and about 60 articles in popular magazines such as National Review, Oui, Science Digest, Catholic Digest, and American Legion Magazine. Cohen has received the American Physical Society Tom Bonner Prize (1981) for his nuclear physics research. He was also elected to Chairman of the A.P.S. Division of Nuclear Physics (1974–75). For his research on energy and environment, Cohen received the Health Physics Society Distinguished Scientific Achievement Award, the American Nuclear Society's Walter H. Zinn Award (1996), Public Information Award, and Special Award. He was also elected to membership in National Academy of Engineering, and to Chairman of the American Nuclear Society Division of Environmental Sciences (1980–81). In a 1989 article titled “The Myth of Plutonium Toxicity,” Cohen famously challenged activist Ralph Nader: “I offered to eat as much plutonium as he would eat of caffeine, which my paper shows is comparably dangerous, or given reasonable TV coverage, to personally inhale 1,000 times as much plutonium as he says would be fatal.” Nader did not take up the challenge. 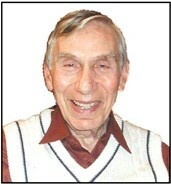 1925-2012 Bernard L. Cohen died March 17, 2012. He was 87. A Pittsburgh native, Cohen served as an engineering officer in the U.S. Navy in the Pacific theatre during World War II. Cohen claimed: "All estimates of the cancer risk from low level radiation are based on the linear-no threshold theory (LNT) which is based solely on largely discredited concepts of radiation carcinogenesis, with no experimental verification in the low dose region of the most important applications. These risk estimates are now leading to the expenditure of tens of billions of dollars to protect against dangers whose existence is highly questionable. It is therefore of utmost importance to test the validity of this theory. A conclusion, with an update to the landmark study published 1995, continues: "Since no other plausible explanation has been found after years of effort by myself and others, I conclude that the most plausible explanation for our discrepancy is that the linear-no threshold theory fails, grossly over-estimating the cancer risk in the low dose, low dose rate region. There are no other data capable of testing the theory in that region. An easy answer to the credibility of this conclusion would be for someone to suggest a potential not implausible explanation based on some selected variables. I (or he) will then calculate what values of those variables are required to explain our discrepancy. We can then make a judgement on the plausibility of that explanation. To show that this procedure is not unreasonable, I offer to provide a not-implausible explanation for any finding of any other published ecological study. This alone demonstrates that our work is very different from any other ecological study, and therefore deserves separate consideration. Cohen's debates in academic periodicals and published correspondence with R. William Field, Brian J. Smith (assistant professor of biostatistics, University of Iowa), Jerry Puskin (from the U.S. Environmental Protection Agency), Sarah Darby, and Sir Richard Doll and others regarding his radon-related ecologic studies are well known. Among other expert panels, the World Health Organization's International Agency for Research on Cancer discussed at length Cohen's results then concluded: "The weight of evidence is that the ecological analyses of Cohen can be rejected. In March, 2011, Professor Cohen stated, reflecting on his study and its controversial results, that low levels of radiation can have beneficial health effects and reduce the risks of cancer, "There is evidence on both sides. Whether low-level radiation is protective against cancer, a theory called radiation hormesis, is debated in the scientific community. Furthermore, ...[on his viewpoint, and its support found in his exhaustive studies] it could go further and say that no confounding factors (like socio-economic, geography, ethnicity, medical care access, and beyond 500 explored in the analysis) can explain the results. However, my study was designed to test the assumption that the danger of radiation is simply proportional to the radiation dose, which is the only evidence that low-level radiation may be harmful. My conclusion was that that assumption is false. Other scientists disagree and more research has been called for. Subsequent research would join a profound array of positions including a 1982 United Nations' work-group study -UNSCEAR- concluding: "There appear to be no nonspecific effects from low doses of radiation that result in a shortening of the life span." In 1983, Cohen proposed that uranium is effectively inexhaustible, and could therefore be considered a renewable source of energy.